Retail Insider has partnered with leasing newsletter Locations! and we'll provide periodic update on retailers' expansions. See the latest listings in Locations! here. By Peter Morris, founder of Locations! Brows by G was established in 2015 as a brow bar and permanent makeup clinic by beauty artist Giovanna Minenna. The beauty concept specializes in microblading, micropigmentation, shaping, tinting, waxing, and makeup services. 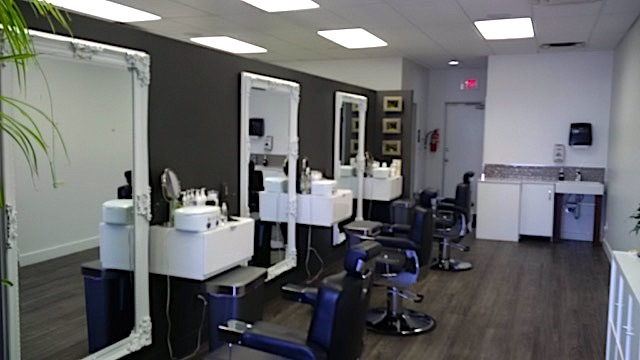 The first salon opened at 1682 Grant Ave. at Lindsay St. in Winnipeg’s South River Heights area. Director and CFO Scott Russell notes that a second location will open at 160 Provencher Blvd. in Winnipeg shortly. He adds that growth is in the company’s plans with franchised studios and he is looking very closely at the Western Canada market, the Calgary, Edmonton, Saskatoon and Vancouver markets, for the next locations beginning with Calgary. Brows by G prefers to be near other health/wellness tenants as well as medical, dental, chiropractors, massage services, etc. In addition, being near specialty fashion and upscale home stores is preferred. The units are corporately owned and the unit is staffed by teams of trained specialists and technicians. Last year, Brows by G associated with MC College Group Inc. to provide its Microblading Technician Training Program in the campuses in Western Canada.